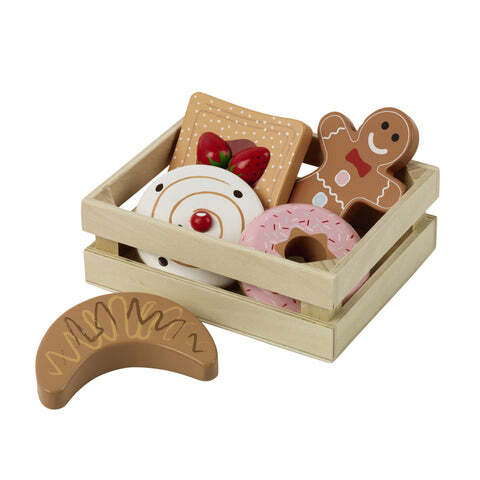 Bakery Basket | Great Little Trading Co.
We love this collection of wooden pastries and treats; which one will be your favourite with your morning cuppa or coffee? 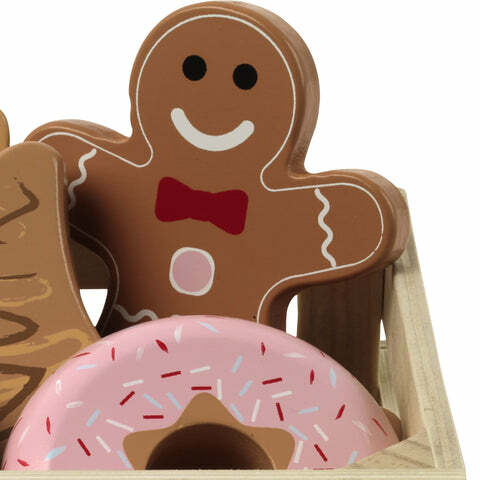 The set includes a strawberry tart, a Danish pastry, a doughnut, a croissant and a gingerbread man, all made from smooth painted wood. 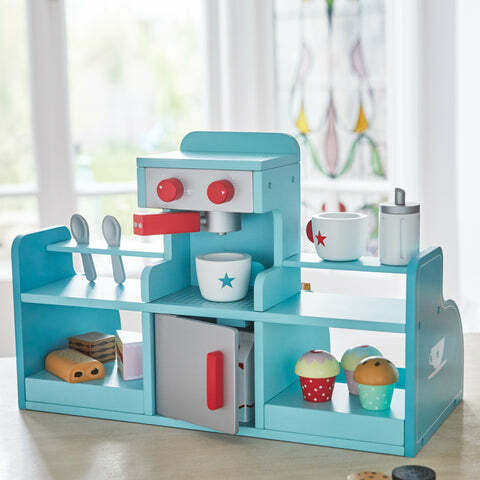 Includes wooden storage crate.